Next week we’ll be previewing our KitLock product range at the Data Centre World conference and exhibition in London’s ExCel. If you are attending the show, come and visit us on stand no J75 and find out how to secure server racks, rack mount cabinets and cages in computer rooms without having to manage large numbers of keys, fobs or cards. Managing the keys in a large data centre can be a time consuming task, especially when access control is such a high priority. Data centre, facilities or IT managers need to be able to restrict access to servers and equipment locked in cabinets, while enabling authorised engineers and customers to have access to hardware under their control. To achieve this with traditional locks and padlocks, the right keys have to be issued to the right people, replacement keys need to be cut when keys go missing and some locks may even need changing to guard against the use of unauthorised keys. 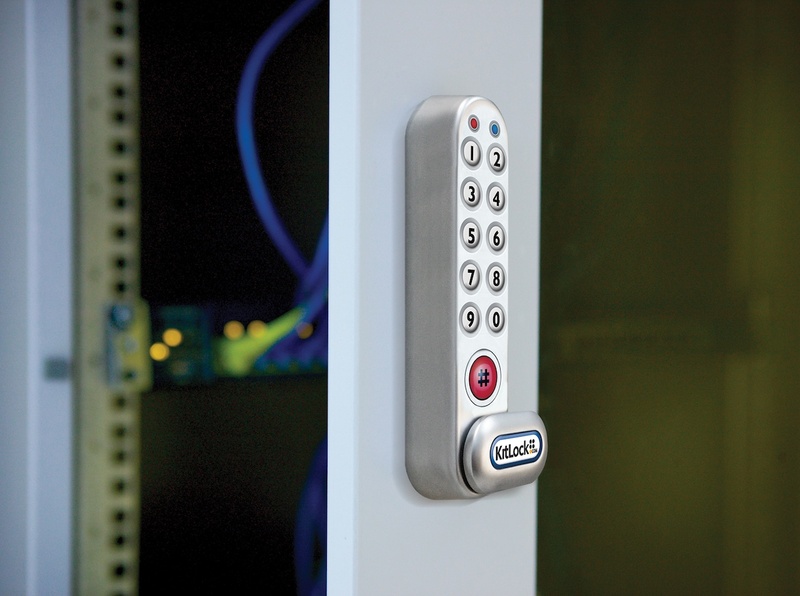 KitLock is a digital cabinet lock, designed as a direct replacement for standard key cam locks, providing simple keypad access using a four-digit user code. With KitLock, a master code can be used to easily delete and reset the user codes, saving a great deal of time and money. In ‘private’ function, the same code can be used over and over again by an individual or a small group of people. Regular user code changes will help prevent any misuse and maintain security. If you are a data-rack manufacturer or supplier looking for a convenient alternative to traditional locks and keys, then pay us a visit stand no J75 and find out how our electronic keyless locks can help. We look forward to seeing you there.